Want to pump up the volume on your fall/winter style, then allow us to suggest a few recommendations on boots that will bring the heat in the cooler months ahead. 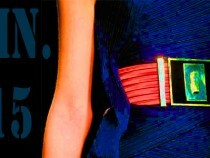 This month we have a fashion submission from Houston based designer Jessica Lombana. Jessica has been known for her work with swimsuits, but has recently started experimenting with other looks. Jessica has had a hectic year developing her brand and organizing fashion shows, but the always busy Jessica took time out to put this shoot together with her talented crew in Houston. For Fall we see our seventies summer goddess gracefully evolving into a powerful eighties-inspired hard hitter. Olivier Rousteing manages to effortlessly blend the decades with a look that is modern and harsh, yet somehow still nostalgic and whimsical. Following Coachella festivities, we have still not gotten over Festival Fever. Want to stick out this spring and summer? Adopt the versatile 70s style! From louche to rock star, exotic to bohemian, the 70s marked the beginning of change, especially in fashion. Here is another look that you can easily pull off at a festival or on a night on the town. 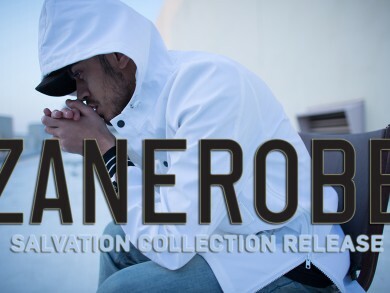 Premium contemporary label ZANEROBE launches the much anticipated ‘Salvation’ collection to the rapture of eager streetwear enthusiasts globally. The proudly Australian designed label has set the benchmark in recent years for innovative, aspirational design and their latest offering does not fail to disappoint. Salvation is ‘the act of saving or protecting’, so by definition the creatives at ZANEROBE are leading us all to the promised land – a purlieu of customised fabrics, cutting edge chinos and on-point denim washes.